Shop wisely and save huge. 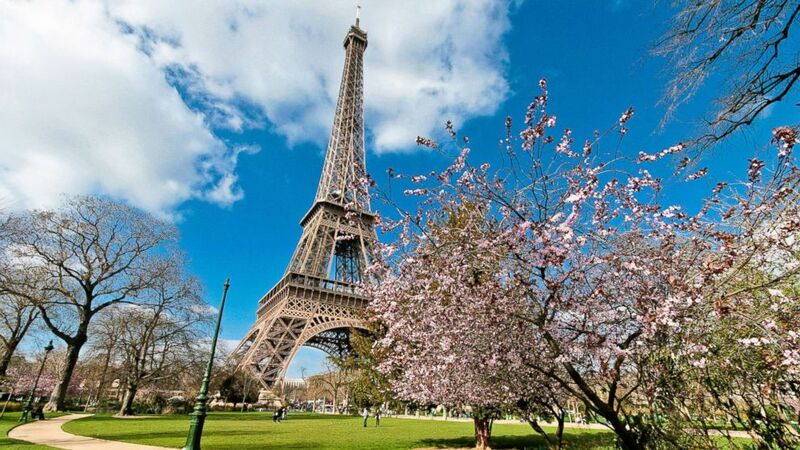 camera (STOCK PHOTO/Getty Images) The Eiffel Tower from the Champs de Mars park in spring time with cherry blossom, in this undated stock photo, in Paris. If you’re looking for the perfect Valentine’s Day gift, consider a trip to Paris in June. If you’re worried it’s too expensive, how does a nonstop from Boston for $386 round-trip sound? You can spend more than that on perfume (Joy at about $600 an ounce). But that’s not all. There are plenty more well-priced round-trip fares -- for travel in June -- to the most popular cities in Europe. I found these late last week (but as always, airlines can and sometimes do change prices with no warning). Finding these deals isn’t hard; it just takes a little know-how, and, in some cases, the ability to endure a little inconvenience. Here are four steps to finding cheaper deals to London, Paris and Rome. 1. Fly when it’s cheap. Actually, if you want to see Europe at a totally rock-bottom price, fly in winter! But if your heart’s set on a summer vacation, you have two choices: Fly by mid-June, or, fly starting in early September (around Sept. 10 or so). Once you’ve made your decision on travel dates, talk to the boss about getting the days-off then start shopping. 2. Shop precisely. When you know when you want to fly, go to an airfare comparison site that has a tool for pinpointing deals by month or season (the one on my site found the deals shown above, but other sites have similar tools). If June will be your travel target, select that month and see what fares pop up for you. 3. Accept longer routes, unpopular days, awkward times. This is where the inconvenience comes in; sometimes the best deals depart and return on weekdays, at unpopular times and the route may even include a stop or two. For example, the New York-Rome fare of $461 is for a connecting flight with one stop; a nonstop on the same day costs $792 which means a family of four can save more than $1,300 simply by enduring a longer travel day. 4. Be airport flexible. If you live even somewhat close to a big hub, compare fares from there and your hometown airport. We found a deal from Chicago to London for $599, while the price from Indianapolis was $980 (both routes include one stop). Look, no one wants to make a three-hour drive from Indianapolis to Chicago but it might be worth the nearly $400 fare difference (especially if you have friends in Chicago who let you stay with them for free). If you’re farther away, consider dividing up your trip into a domestic trip to a big hub and from there to Europe. The airline that takes you to Europe may have service directly from your town (with its own planes or an airline partner), but you might be able to find a much better deal on another airline for the domestic part of the trip. Compare fares and see what you come up with. But remember, this is your trip. If you want to go to Europe at the height of the season or visit one of the more expensive cities, do it. We have been seeing lower fares to the continent overall for the past couple of years now so no matter where or when you go, you’ll still be saving something. You’ll run into plenty of crowds and longer lines in peak summer too but if that doesn’t faze you, go for it. Rick Seaney is the CEO of FareCompare, a website that curates the best deals on flights from around the world. Any opinions expressed in this column are solely those of the author.